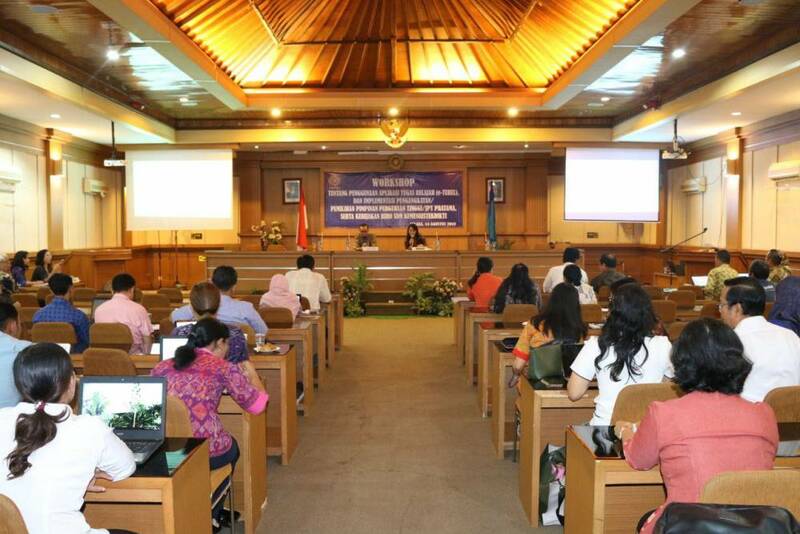 Denpasar - Tuesday, August 14, 2018, Udayana University held a Workshop on "The Use of Learning Task Applications (E-Tubel)" at the Postgraduate Building in the Sudirman Denpasar Campus, the Workshop which was opened by the Chancellor aimed to improve understanding regarding the provisions and procedures for applying for Lecturer Learning Tasks. 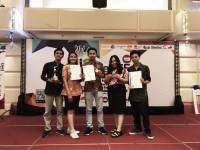 in the Udayana University environment, this activity presented the Resource Head of the Kemenristekdikti Human Resources Bureau with the material presented on the E-Formation Policy of the HR Bureau and training using the E-Tubel application. 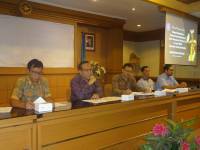 The Head of the Human Resources Division of Unud, Nyoman Sumayadnya as the Chairperson of the Organizing Committee explained that the material presented by the resource person was in addition to the task of studying as well as special material on the implementation of the appointment / selection of the Higher Education Leader / JPT Pratama and the Policy of the Ministry of Research and Technology. The participants who participated in the workshop were the Deputy Deans of General and Financial Affairs, Study Program Coordinators, Heads of Faculties of General and Financial Faculties, representatives of lecturers who would take part in study assignments and education personnel who handle Learning Duties / Study Permits as well as several participants from the Bali State Polytechnic.